The newly released 80 page book "The Art of Ken Keeley" is now available for purchase. It measures 13"x11" on premium paper complimented with a lustre finish. 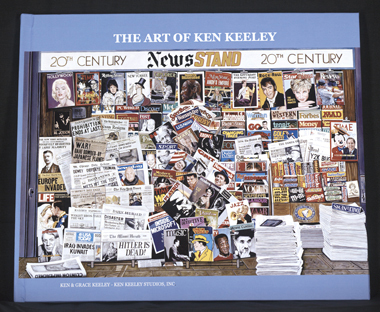 This book represents a variety of Keeley's artwork including his current paintings. This is a limited edition of 350 which is signed and numbered by the artist, Ken Keeley. The newly released 80 page book "The Art of Ken Keeley" is now available for purchase.